Who’s ready for a fun home decor giveaway? THIS GIVEAWAY IS NOW CLOSED! I know I just shared our spring home yesterday but it’s Thrifty Style Team Wednesday and I just had to join in on it. We usually share a thrifty find but this month is special because we’re offering a home decor giveaway. The way it works is that each member of the team is giving away a gently used, beloved home decor item from their own stash. So it really is like 11 giveaways in 1. You can visit each member of the team and enter to win. My prize is 4 hanging wood herb boxes that I bought when we moved into the cottage. I was so excited to get them but broke a cardinal rule…don’t buy something unless you have a spot to put it. Our cottage is small, with limited wall space for decor, and I was never able to make them work. Unfortunately I bought them from a shop that didn’t accept returns so I had to keep them. These beauties are solid wood and they all have a hanger. They’re perfect for herbs or placemats or silverware…so many great ways to use them. Ok, are you ready to give these herb boxes a new home? Make sure you go all the way to the bottom of the post for the rules and to enter. Remember to visit the other members of the Thrifty Style Team to enter their giveaways, after you’ve entered mine. Each one will have a different prize and different rules on how to enter so make sure you read the rules. Did not Mae it for tge giveaway, but still had to comment and let you know that anyone that win this wonderful price is so lucky, because these fabulous spice boxes are just that, fabulous. I will not give up that some day I will get my gain to, obtaining hanging spice boxes. I love them. Awww, I’m so sorry that you missed our giveaway Ivory. I will be having a couple in June to celebrate our 5th anniversary so I hope you come back to enter. I won’t have any more herb boxes but it will be equally good. Thanks for stopping in! Such cute boxes! Tons of usses in my mind. Found you from savy southern style. 1st time I have read your blog. These boxes will be spectacular in my garden window! Thank you for this chance. I’ve had my eyes on these for a long time now. Every time I go to order they are sold out. Love how you styled them. I follow the same rules, do not buy unless you know where it’s going.. These boxes are adorable! Brand new subscriber! New to you. Looking forward to following you. Nice Hanging Herb boxes. A great added touch to the home. Love the boxes. I already subscribe and have for a long time. I love these boxes! Just signed up for the newsletter too! Super excited that I came across your blog! Love the boxes. I already have the blue and white dish towels!! New follower…..glad to have found your blog. and I subscribed to your newsletter. I’ve been following you for quite awhile. Love you !! Hello! I found you on Hometalk 🙂 I love your style, so I went to your blog, and Subscribed 🙂 Also follow you in Pinterest, Fb, Twitter, and Instagram! I Love the boxes your giving away! Thanks so much for sharing !! Thank you for the ideas and inspiration. I’m new to your site but am signing up right away. I can’t wait to see what you do with your home, I can always use new ideas! These boxes are gorgeous! My email is [email protected]. I’ve subscribed to your newsletter. Love the wooden boxes, I think they would be wonderful to hide junk in since I lost my junk drawer for another purpose. I just signed up for your newsletter…love all the ideas you show. Thanks for sharing. What great boxes! I love baskets and boxes of all kinds. Thanks for the opportunity to win them. I read every post. I love your cottage and your style! I am already a subscriber! Those boxes, ❤️! Great give away !! Thank you for the opportunity ! Spring needs to be sprung soon !! These are so cute, would love to plant in them! These boxes are adorable and I have seen them online for quite a while. They would be a great addition to my decor. I signed up for your emails. This is such a wonderful giveaway! I have admired these boxes in several blogs…you are so sweet to give them away. I signed up for the newsletter, and I already follow you on Pinterest. Now I have to go see you Spring Home Tour! These would make my day! I have subscribed to Chatfield Court! Cute boxes are my downfall! These would be great on my screened porch! Thanks for a great giveaway! These are great! Fabulous giveaway! I’m a new subscriber. I really like your blog! So many uses! They are lovely! I love these boxes! I know right where they’d go, on my porch. These are something I have been looking for. I signed up for the newsletter. You have a great blog and I wouldn’t have seen it if it weren’t for the giveaway, great idea! These boxes are just what I need for my kitchen. Ooh how I’d love to win them. Keeping my fingers crossed. Thanks for the chance to add them to my home. I signed up for your email newsletter. Thanks! I adore these boxes. We moved last summer and I have lots of empty walls! I love these wooden boxes.. I know exactly where I’d put them! New subscriber. Love the cute boxes! Lovely little boxes, I have 2 similar but not hanging, these are great for small treasures! These boxes are adorable!! Thank you for the chance to win. Love them little boxes and know just the place i would hang them ty. I love how you decorated the boxes. Just signed up for your newsletter and look forward to receiving them. So sorry you couldn’t use these lovely boxes in your cottage but I would be happy to take them off your hands and place them around my screened in porch! I love the boxes and want to change out the decor in my kitchen. They would be perfect. This is my first time visiting your site and I will sign up for the newsletter. Just signed up love the boxes! Love the boxes, they are so cute! I could find so many uses for them I also signed up for your newsletter. The boxes are adorable and I’ve had my eye on them for awhile. Especially love how your decorated the Parsley box. I’ll subscribe now. Not sure how I’ve missed your blog, but am so happy to finally meet you! Thanks for doing the give away. The boxes are beautiful. I also subscribed to Chatfield Court this morning. I’m excited to learn from your blog! Welcome to NC! Just signed up for your newsletter and so happy to have found you. 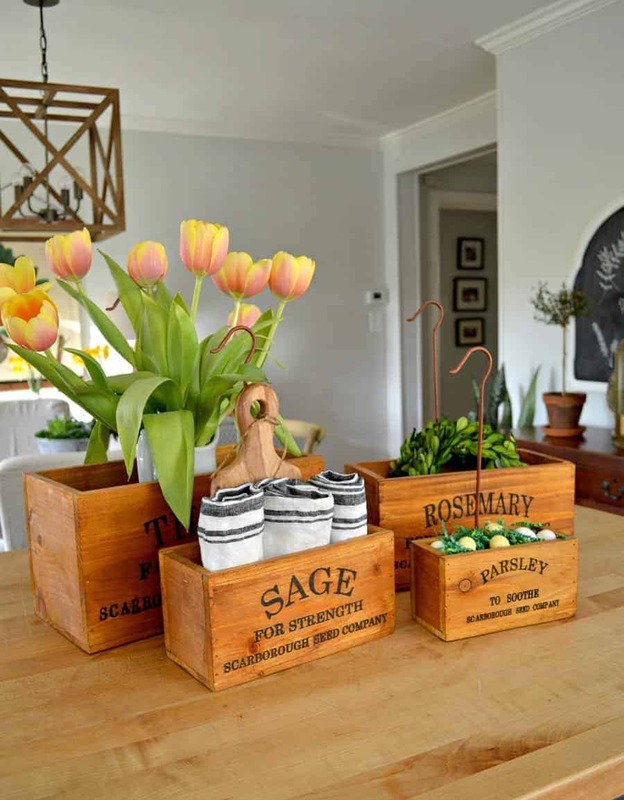 When it comes to floral arrangements I’m a thinking “outside the box” kind of gal and have lots of ideas for these cute herb boxes. Those boxes are awesome! Thanks for the giveaway! These boxes are adorable! I’ve tried to make a couple of wooden boxes on my own using scrap wood, and although mine turned out pretty good, they’re not nearly as cute as these! If I don’t win these, I will at least have a great new idea! BTW, I forgot to mention that I also signed up for the newsletter! I love the boxes! Love your site and creativity! I subscribe to your emails too! Thank you! Your generosity knows no bounds! You are about to make a reader very happy with this fabulous giveaway! Love these. My garden club would be jealous if I won. Those boxes are so cute! I can imagine adding some glass milk bottles I found at the thrift store. I don’t have a perfect place for these but my sister does – she’s got a beautiful little shed/cottage she’s redoing at her house, and since it is at the edge of the garden it would be perfect! Hello Kristi, I am a current subscriber and occasional “opinion giver” as my husband says. ???? These boxes are absolutely gorgeous and so you, I can see why you picked them up, they will have a perfect home here in the kitchen my daughter shares with me (I live with her). Thank you for this opportunity. Wow these are adorable !! And just in time for spring planting. These boxes are awesome. I just subscribed. Just found you. These boxes are so nice! I already receive your newsletter. Thanks! Always inspired by your approach to your home as well as your style! I love them! Please enter me in the drawing. Thank you. Wow wow and wow! What a fabulous giveaway, Kristi. You are more than kind, with lovely taste. I’m new to your blog. 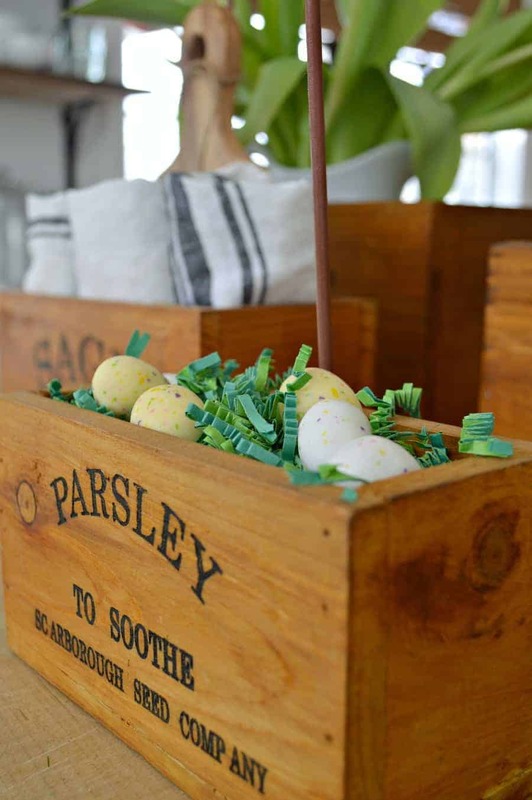 I hopped over from Redhead Can Decorate and your boxes are just the perfect thing for my decor! Of course, I already receive your emails! Yay! love those little boxes kristi and the way you have them styled. Now that everyone wants them, I’m not so sure. 😉 JK! I wish I had space for them but since I don’t, I’d rather send them off to a good home. I have the perfect sunny spot for those sweet boxes! thank you for a great giveaway! 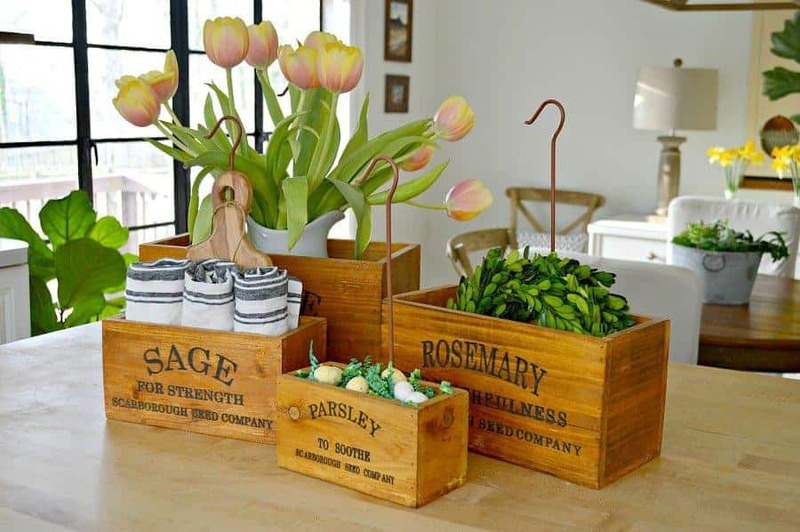 These boxes are BEAUTIFUL & would make a Great addition to my new ‘plant area’ between my DR & Kitchen! I did just sign up for your newsletter & follow you on IG. Thank you for the giveaway & GOOD LUCK Y’ALL!!! Love these boxes and hope I can win them. Wow you having no space for these beautiful wooden boxes hopefully can be my gain. I’ve always wanted to grow herbs in my kitchen I could never find the right containers. Hopefully these boxes can be mine and my kitchen will have the herbs I love filling them. I am a subscriber to your newsletter. New subscriber coming from Bliss Ranch. These are gorgeous! These are so cute and would be so fun to use in home. Just found your blog, so many fun and great ideas. Thanks for sharing! Love the boxes. I signed up for your newsletter. Happy I found you through this giveaway from diy beautify! I love the boxes! They would look great with fresh herbs! The herb boxes are so cute! Always enjoy reading your posts. These cheese boxes are adorable and to top it off they have herbs stamped on them. I love herbs and anything herb related. I’d be happy to take them off your hands and place faux herbs in them and hang them on my kitchen walls. I don’t have a sunny window for real herbs. P.S. I signed up to subscribe to your newsletter. Thank you.???? I am already a follower! The boxes are great for wall or table! Those are so cool! I actually have nearly purchased them myself a couple of times. If it’s a box of any kind, I’ll take it! Thanks for contributing these to the giveaway. Thanks for the subscription to your blog, following you on Pinterest and Facebook. Thanks for all the inspiration. I love these boxes! I just moved into a new home and they would be perfect in my kitchen! I’m new to your site and I’ve subscribed to get your emails. I look forward to following! Blessings! Love the wooden boxes, I definitely have a place for them!! I think they would be pretty on my island displayed with fruit/vegetables and seasonal flowers!! Oh my goodness, Kristi ~ why in the world have i just found your blog??? I love it already! And i have just started looking at your posts. I’m delighted that I’ve it. Better late than never, as they say. And, of course, i am following you now that I’ve found you. I have to say wanted these for the loooongest time. I have just the perfect spot for them and have imagined them there since the first time I saw them. The boxes are so special one of a kind, sorry you don’t have spot for them in your house. I know the perfection location in my house! I am already receiving your newsletter! Absolutely love boxes of any kind, but yours are precious! They look French style! I did sign up for your news letter. Looking forward to it too. Hi, I have been following you since your move to the cottage. I enjoy your posts very much. Oh wow! These are such sweet little boxes…and I do have a spot for them! So many fun items from the bloggers- I’d be happy with all of them! I’m already on your email and FB???? I love the boxes and have the perfect wall to hang them. I also just signed up for the newsletter. thanks. Pick me please!!!! I follow on my mac and Instagram. I would love to win these boxes! I also just subscribed to your newsletter, love your stuff! I am a new follower! You have a lovely blog! These would look so cute in my kitchen! I signed up for the newsletter. Thanks for sharing these boxes. Just beautiful! I would love to have these for my home!!! Wow would love to win these bxoes. What a grand giveaway!!! i already follow you and your wonderful blog. Keep up the great post. Like others, I have loved these boxes from ads & such. I am already subscribed! I have looked at these boxes and always wanted to order them–however never pilled the trigger to order them. Love the boxes, thanks for the opportunity! I already follow you! I have been a subscriber for a while and love your blog and cottage! I am redoing my home after a flood and need new decor for my kitchen. These are wonderful! Hope I win! already a loyal follower! Love your posts! Would love those boxes! I really enjoy your blog. Love the new bathroom and closet doors!! Those little boxes could find a nice home in Las Vegas! The boxes are really cute & can be used in so many ways. I just signed up. Thanks! 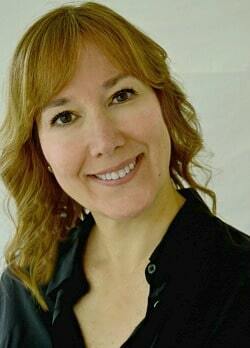 Hi Kristi, Love your newsletter. I also love those boxes! I have just discovered you thru another newsletter and of course, I just signed up for future newsletters. Two entries into the drawing will be very much appreciated!!! Have always wanted these boxes! I subscribed! Your site is wonderful. I have a new home and limited funds to decorate. These boxes would work great in my home. Would love to have these! And, as a already newsletter member, hope I win. 🙂 I already follow you on instagram too. 🙂 Thanks for the consideration. I have been a follower of yours for a long time and I love your blog! Those boxes are adorable and I could use those so easily in my kitchen and pantry! Hurry up Spring and get here!! I am in the middle of renovating my kitchen into farmhouse style and these would be the *perfect* addition. Thank you for the opportunity! Beautiful set of planter/decorator boxes! And I signed up for your newsletter. Thanks! WOW, these boxes are incredible. Newbie here. So glad I found you. Thanks to the Thrifty Style Team. Great giveaway! Would love to win! Just signed up also! I absolutely love these! Pick me. Pick me. Have a fabulous day! Love Them! I am a new subscriber. I subscribe to the CHATFIELD COURT newsletter! These boxes are so cute. I can think of dozens of ways I would love to use them in my home! Love your and Thanks for opportunity to win boxes and i am already a follower. I love these boxes. So sweet. Would love to win them. Thanks. I already follow you also. Take care. Love those boxes! Would love to have them! Kristi, I love those boxes and the fact that you can hang them up is a bonus. I know my DIL would love something like that since they just moved into their home and are on a tight budget. Of course, you know I’ve been around a long time enjoying your posts! Thank you for the opportunity to win these neat boxes! Thank you for the opportunity to win these cute boxes; I can’t believe you could part with them!! Actually, I can because I have bought items that I ‘just had to have’ only to find out they didn’t actually work in my home. I love boxes, wooden items, and herbs! I know they would be lovely in my kitchen. Looking forward to seeing your blog. I have sen these herb boxes online and know how popular they are. Great giveaway! Now those are a darn good item to giveaway. Someone is gonna be lucky! Thanks Bliss! I’m just happy that I can pass them on to someone who will give them a proper home. I would love these for my kitchen herbs and YES, I do follow you and am so in love with your cozy cottage. I love those boxes!! I have the perfect spot for them and would put some herbs in there for a springy country look. I have followed you for some time. 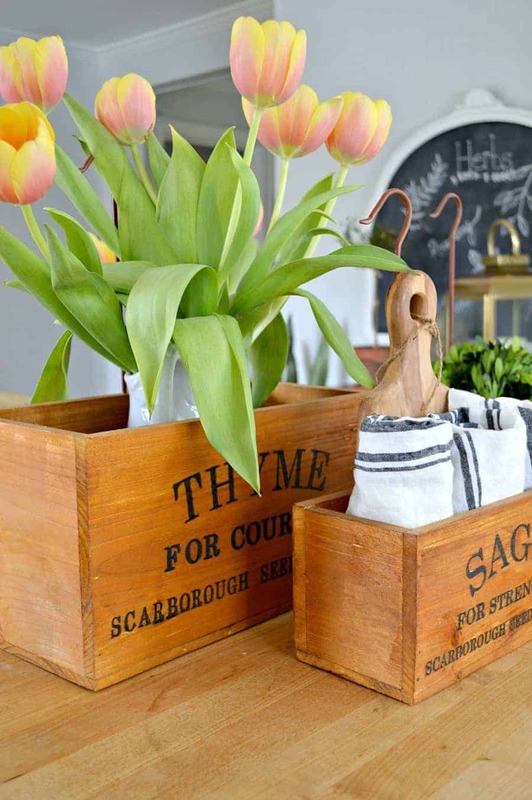 Love the boxes and they will be perfect in my house with fresh flower and herb arrangements! I just signed up for your blog…thank you! I would be so happy to decorate with these boxes! And I just signed up for your newsletter. Cant wait for my first one! I have been looking at those boxes for awhile so would really love to win them! I already follow you! Those boxes are really cute! I’d love to tuck them in my food pantry and stash my herb jars inside them. The nice thing about them is that their purpose can be changed up from time to time. I absolutely love these! I’m a photographer and they would not only be great as decor, but they would be perfect for props. I love that you can add things to them like flowers too! They are awesome! I love the boxes. They will work great in my kitchen. I have been a long time subscriber. I have always loved those boxes and know right where they would go ! I already follow you. Thanks for showing your beautiful house. Love the boxes…I already follow you! Love the boxes! I am already one of your subscribers and love your posts! I love the boxes. They would work so well with the garden theme that I have throughout my kitchen. thanks for the opportunity to win. Love the blog. Absolutely the cutest!! Perfect for my kitchen or my daughter’s new house! I am a follower and love your ideas. Cute boxes! I believe they will work well on my covered porch! Great decor boxes! I already receive your emails. Grand boxes. I have the perfect place in my kitchen to store frequently used items. Illinois transplant and fellow North Carolinian here and I think we should keep those boxes in North Carolina! I’ve been a subscriber for a good long while and enjoy each and every post! I just saw these on Decor Steals..I really could use these when it comes Springtime. Now then. 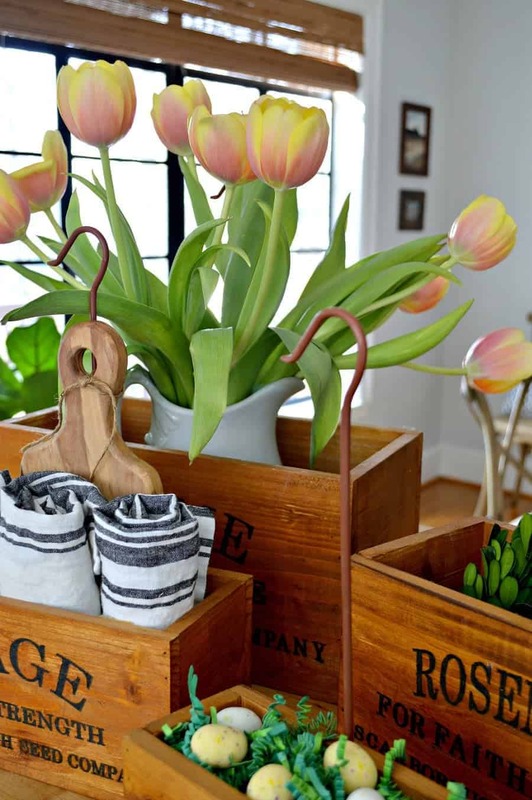 Who would love to have these hanging wooden boxes??? Me! Me! Me! Am I a current blog subscriber? You betcha! Love the boxes! And I already follow you ???? New subscriber because I just love the boxes that I would so love to own! Also LOVE your style! !